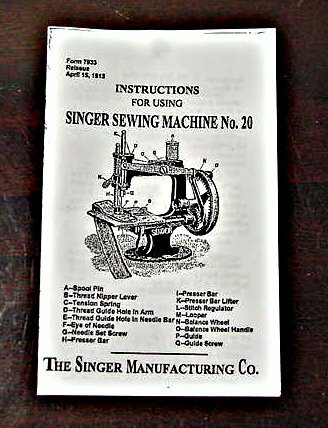 These instructions (photocopy) are for a Singer Sewing Machine No. 20 - 4 Spokes - manufactured in 1910 - 1914. This is a cast iron machine with an oval base and there are 4 spokes in the wheel.